The breathtaking natural beauty of New Mexico has been inspiring visitors and residents of Santa Fe for centuries. 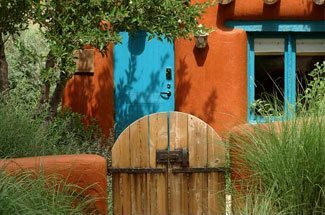 Santa Fe, with its unique blend of sophistication and elegance, has become an extremely popular destination for those looking to get away from it all. Following in the traditions of Native American spiritual healers, Santa Fe is a one-of-a-kind destination for wellness retreats. Whether your ideal wellness retreat involves soaking in mineral waters, massages and other spa treatments, spiritual experience, or detoxifying the stress and pain away, Santa Fe has an abundance of day spas and wellness centers to suit your needs. 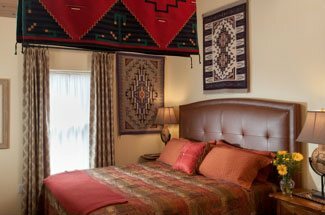 Book your room at our luxurious Santa Fe Bed and Breakfast today, and prepare to rejuvenate the very essence of your soul. The many spas and wellness centers in and around Santa Fe offer a wide range of luxurious services, coupled with beautiful scenery, and authentic old-world New Mexican charm. 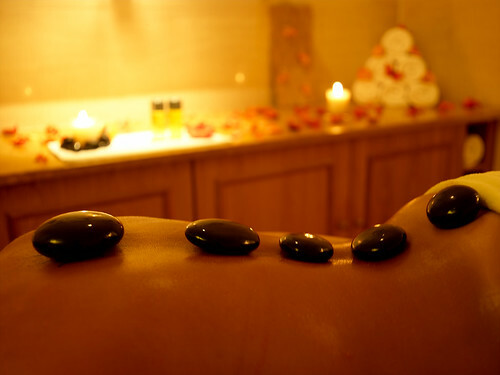 Experiences can range from simple spa treatments, to full-day and even multi-day experiences. At La Posada de Santa Fe, enjoy an Ayurvedic Herbal Rejuvenation or massage followed by the time in the lavender steam room and relaxation lounge. For something a little less traditional, head to Ojo Caliente, where the four natural springs bubble with legendary water that is said to relieve a variety of conditions. Enjoy a traditional mud treatment or experience the Ancient Echoes, an East Indian Head Massage, then climb into the healing waters, kept at a temperature range between 80 and 190 F.
For those looking for a more spiritual wellness retreat, try out the holistic healing services found at the Spa at Loretto. You’ll find services such as reiki, cranial sacral therapy, chakra balancing, and intuitive readings, as well as hot-stone massages, water treatments, and other spa services. The SháNah Spa, which emphasizes traditional Native American practices, is a great place to rejuvenate every aspect of the mind and body. Among the favorites here are massages in teepees, Tesuque clay wraps, and indulgent caviar facials. No matter what it is you’re looking for in a wellness retreat, Santa Fe has it. Book your room now, and enjoy the relaxing oasis of Santa Fe.